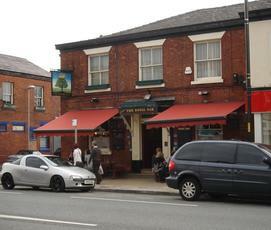 When I visited Didsbury I would say that this was one of two favourite pubs (the station being the other). The place has a bar which serves all 4 sides of the pub. I sat in snug on the right hand side when you walk in. It was quite cosy but very nice. This pub has a proper feel to it. Only legitimate complaint might be that it has an unimaginative beer selection. We went for two pints of pedigree marathon at 5.50 and they were both kept well and tasted nice so I couldn't complain. Definitely worth a look in. 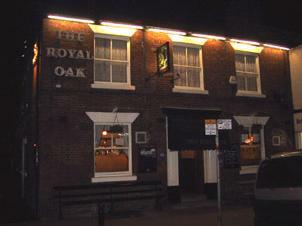 The Royal Oak has been a mixed bag over the years, various landlords/ladies coming and going have affected quality of ale, but I'm pleased to say that in it's current incarnation the beer is top notch and a wide selection (for this size of pub) of ale is on offer. The staff are efficient and knowledgable, punters respectful and well manners, and the beer is well priced, especially for the area. Tremendous. NEW MANAGEMENT have taken over, what a great night we had in here. great selection of cask ales, value for money on all drinks, the cheese and pate lunches are really good and would recommended to anybody. they now have a dart board and seems to be steady/ busy most of the time. why not get down there and give it a go yourself. Seemed a friendly enough local, decent beer. I visited on Sunday afternoon. New to the area. Popped in for a pint. A bit quiet but it was early. Lady behind the bar seemed nice enough. Got a pint and went for a quick go on the quiz machine. Pressed the wrong button and roulette game came up so played that instead. Won about a hundred quid! The landlady - when I told her I'd never played before told me "that's a lot of shite" and her and the landlord then proceeded to tell me about having another winner "removed" because obviously he'd been "cheating" too!! Rude, insulting, ignorant pikey bumpkins. Daily Mail readers will love it. Here's hoping they reap what they sow.